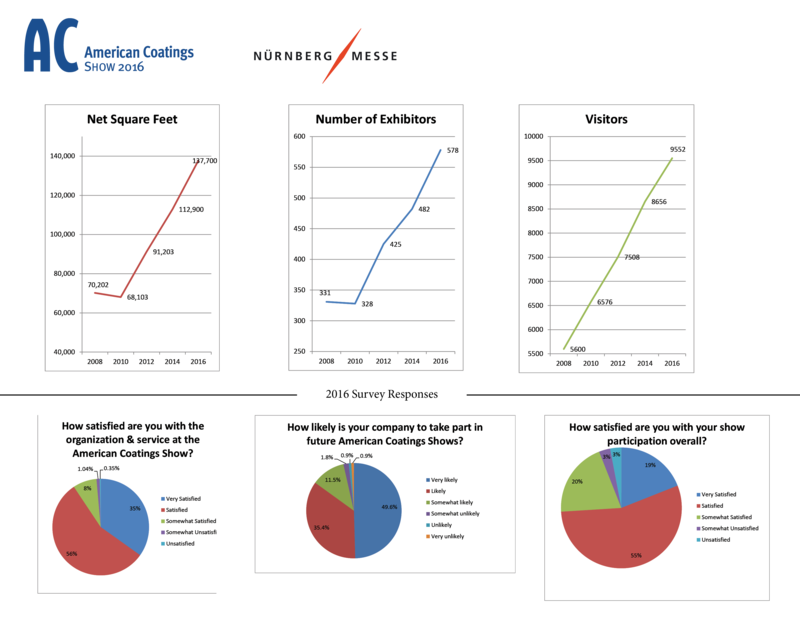 NürnbergMesse North America (NMNA) is proud to announce the most successful American Coatings Show (ACS) in event history. ACS 2016 broke all previous records for exhibit floor size, number of exhibitors, and registration numbers. Registration numbers reached over 9500 with over 500 companies exhibiting in over 137,000 sq. ft. of booth space. Named to the Fastest 50 list by Trade Show Executive magazine in both 2012 and 2014, ACS’s return to Indianapolis, Ind., April 12-14, 2016, has continued that trend of successful growth. This year’s show has once again brought together the paint and coatings industry’s most important decision-makers for a high-level exchange of information. “ACS 2016 exhibitors have indicated very positive experiences regarding new leads, and a record number of industry professionals are attending this year. We remain committed to our goal of bringing the industry a top-notch platform for business exchange, technological innovation and professional development. 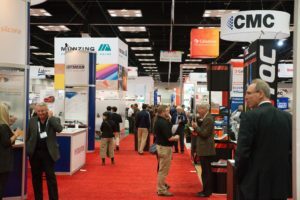 Our goal is to continuously increase the quality of the experience for both exhibitors and attendees,” said Cheryl Matthews, Vice President, Events & Expositions, for the American Coatings Association. The American Coatings Show & Conference is the leading North American industry exhibition and conference for the coatings, paints, sealants, construction chemicals and adhesives industry.